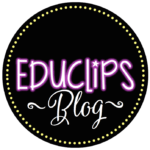 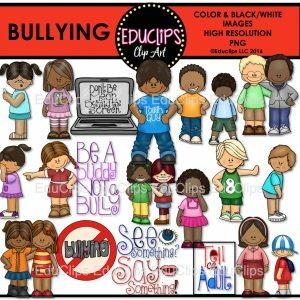 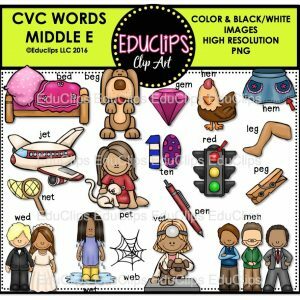 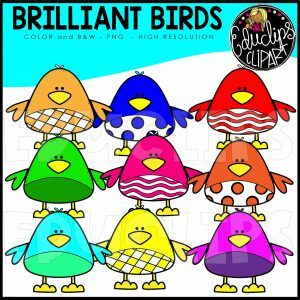 Purchase this product now and earn 22 EDUCLIPS Points! 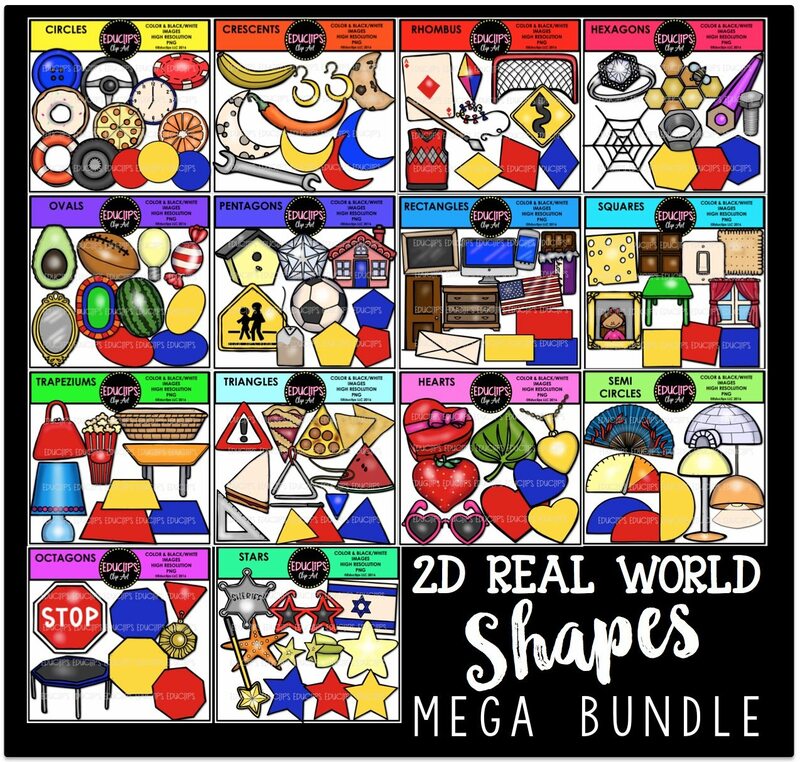 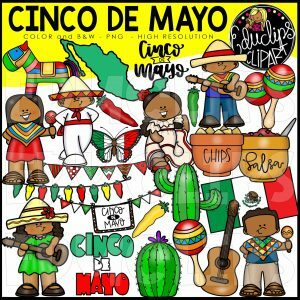 This is a collection of fourteen 2D real world shapes sets. 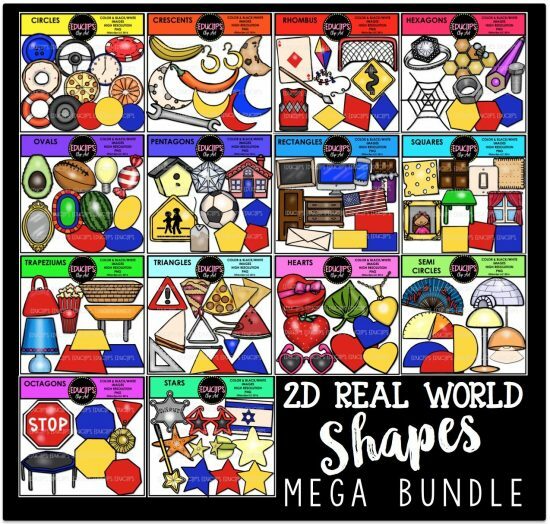 The sets in this collection are circle, crescent, heart, hexagon, octagon, oval, pentagon, rectangle, rhombus, semi circle, square, star, trapezium & triangle. 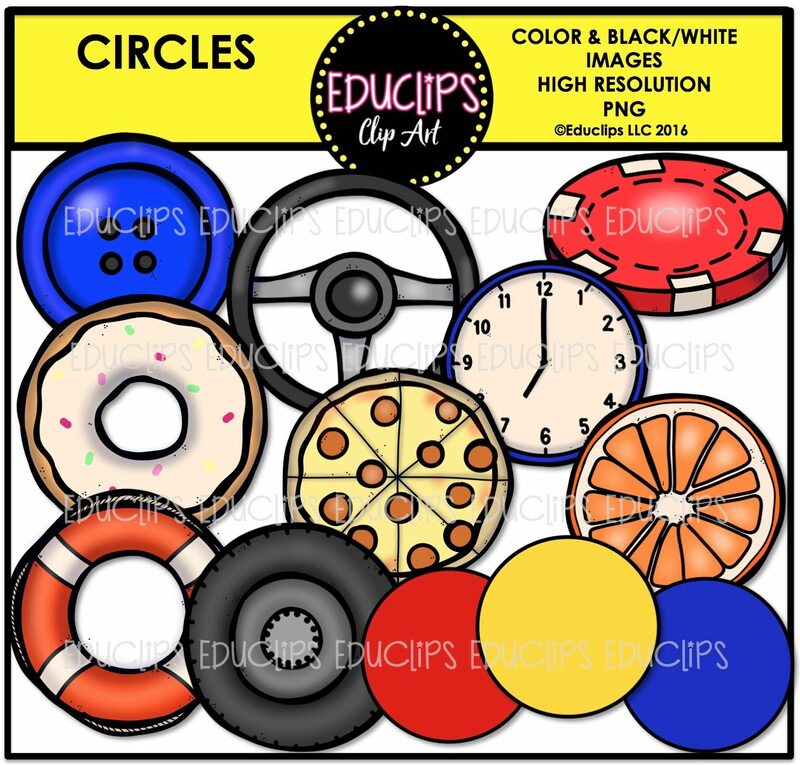 button, care steering wheel, chip, clock, donut, lifesaver, orange slice and circle shapes in primary colors. 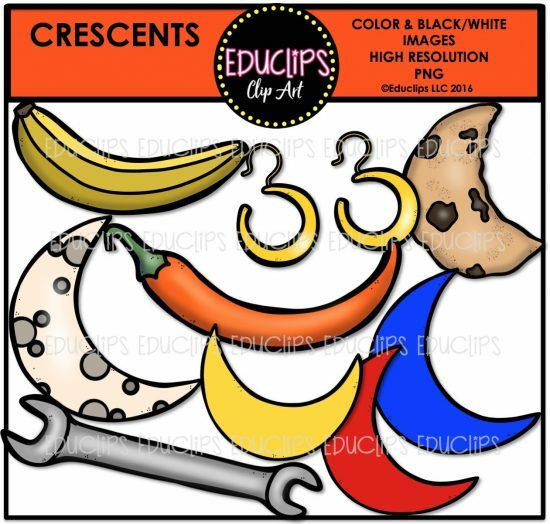 banana, cookie, earrings, moon, pepper, wrench and crescent shapes in primary colors. 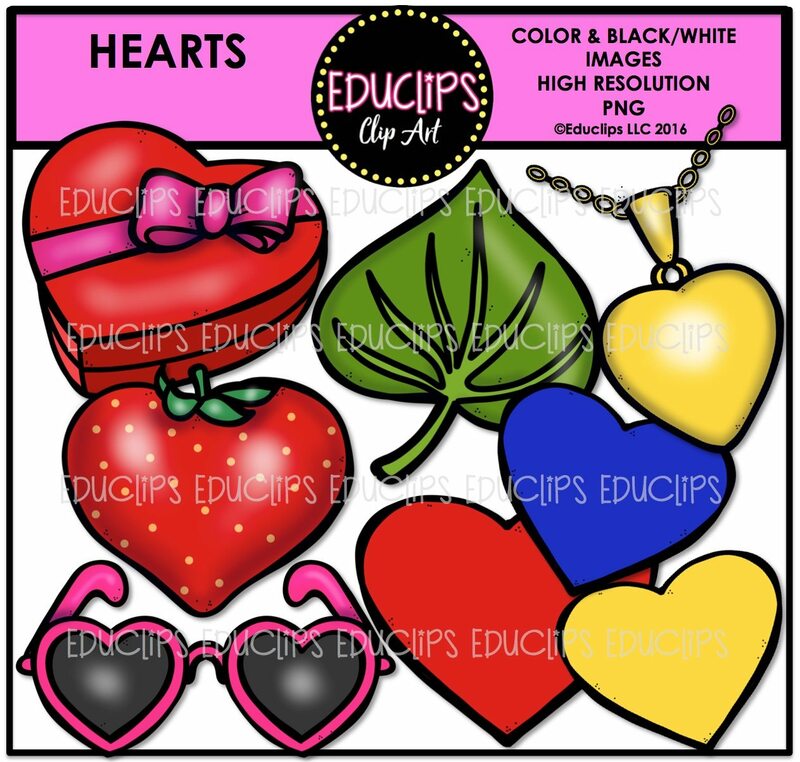 chocolate box, glasses, leaf, strawberry, locket and heart shapes in primary colors. 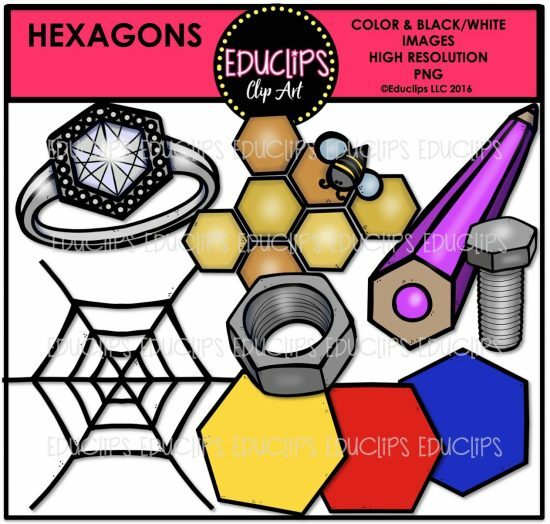 bolt, pencil end, ring, spider web, honeycomb, nut and hexagon shape in primary colors. 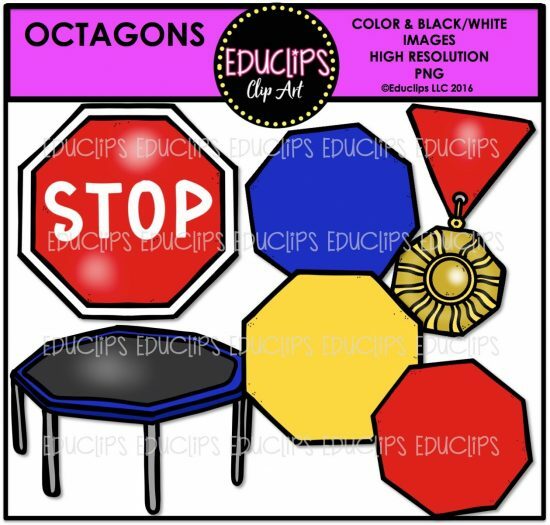 stop sign, medal, trampoline and octagon shapes in primary colors. 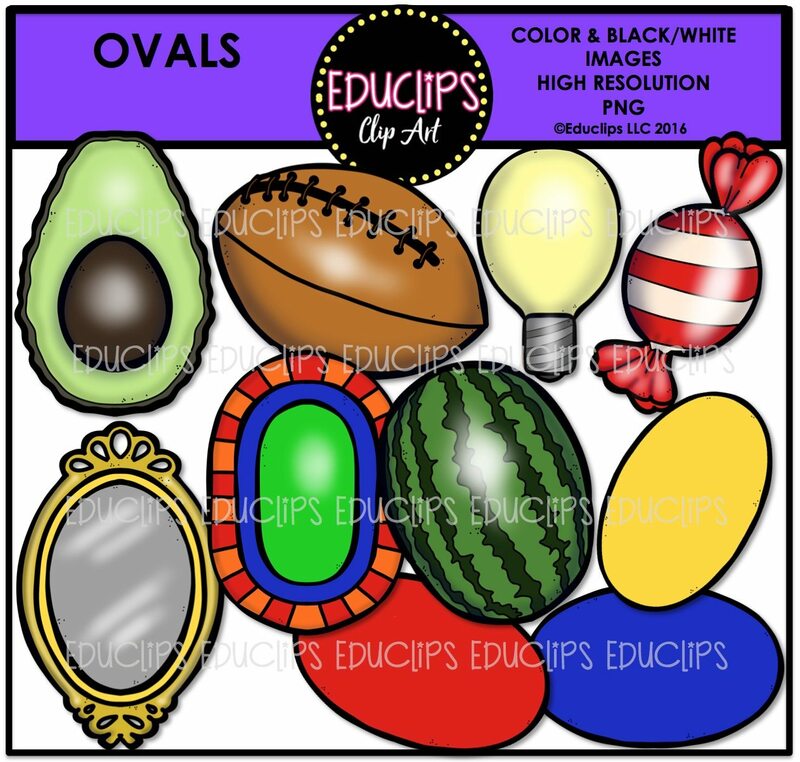 avocado, candy, football, lightbulb, mirror, rug, watermelon and oval shape in primary colors. 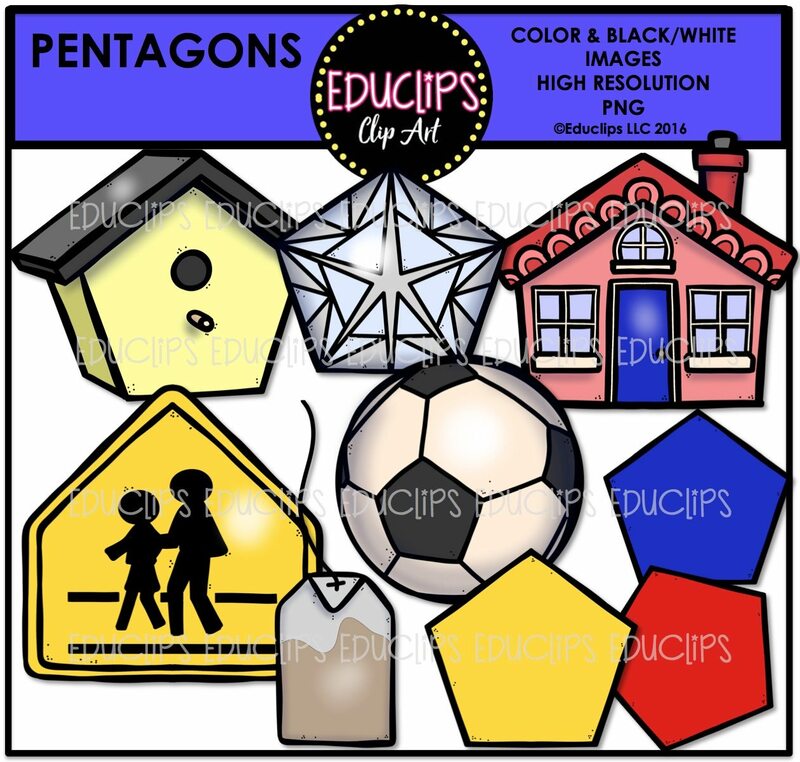 birdhouse, house, diamond, crossing sign, tea bag, patch on soccer ball and hexagon shape in primary colors. 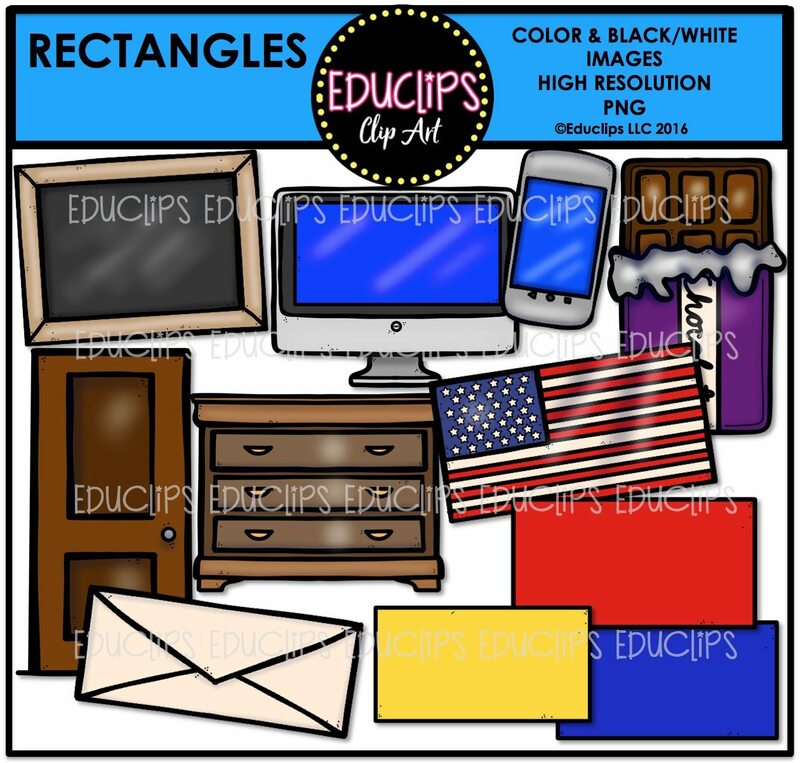 chalkboard, chocolate bar, computer, door, drawers, envelope, flag, phone, and rectangle shapes in primary colors. 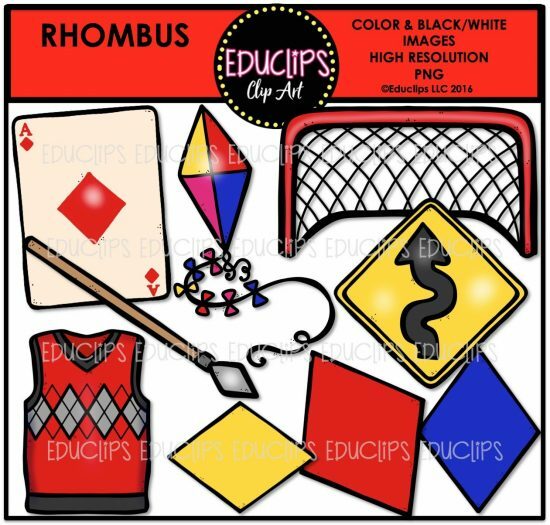 playing card, goal, kite, road sign, spear, sweater vest and rhombus shape in primary colors. fan, igloo. 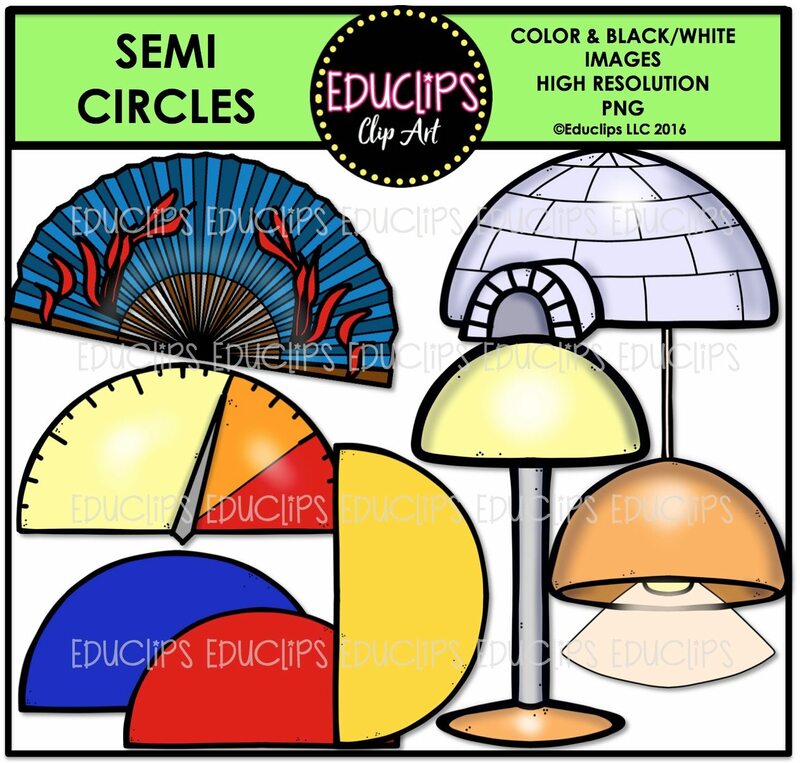 lamp, lampshade, speedometer and semi circles shape in primary colors. 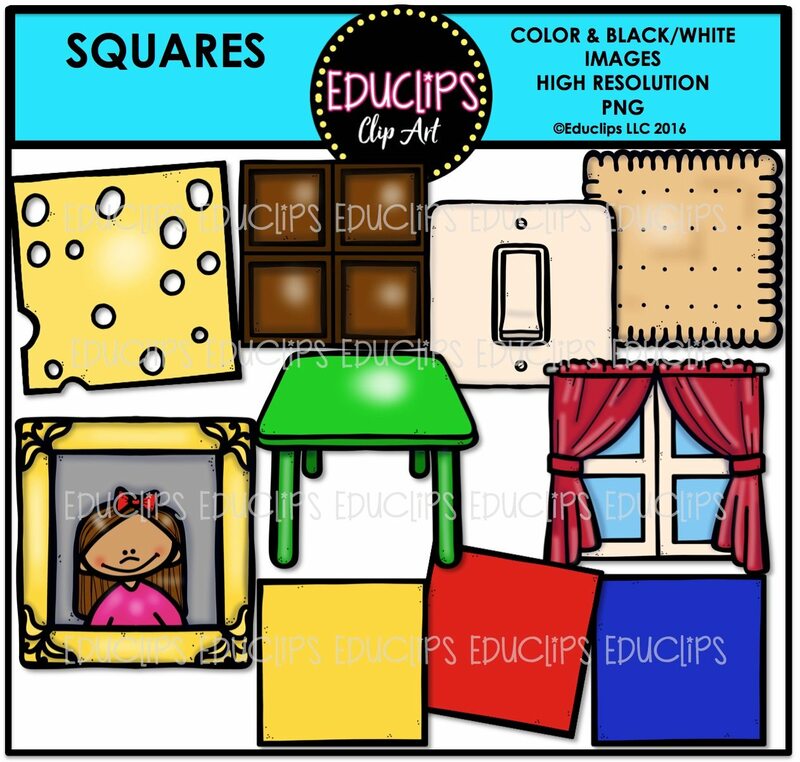 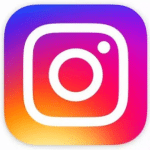 cheese slice, chocolate, cracker, picture frame, table, light switch, window and square shape in primary colors. 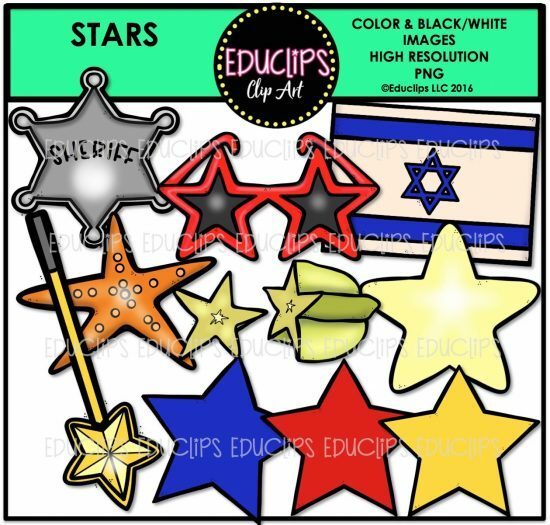 sheriff badge, star of David, glasses, starfish, starfruit, wand and star shape in primary colors. 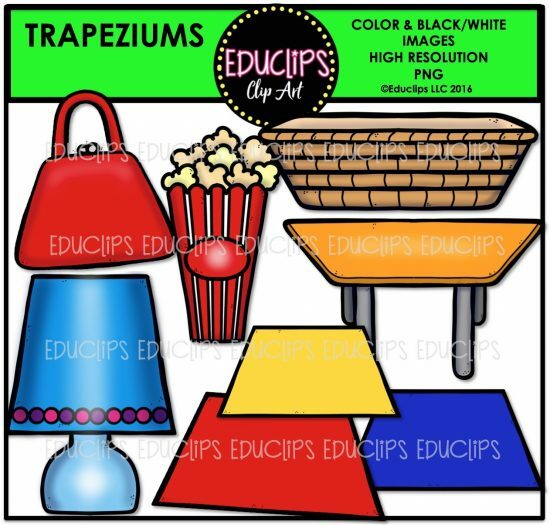 bag, basket, popcorn container, lamp, table and trapezium shape in primary colors. 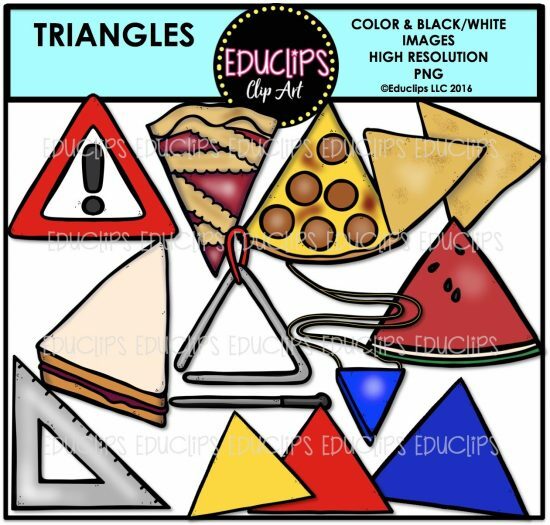 danger sign, pie slice, pizza slice, right angle, sandwich, tortilla chips, triangle instrument, pendant, watermelon slice and triangle shape in primary colors.